When should liquidators apply to court for approval and directions? Checklists and guides, Industry People, Insolvency practices, Legal opinion, Regulation Comments Off on When should liquidators apply to court for approval and directions? Michael J Galvin, barrister and insolvency law expert from Melbourne, has kindly contributed the following article for insolvency practitioners on applications for Court approval and directions, and the powers of administrators and liquidators. In addition to cases where liquidators and administrators are obliged to seek directions (see later in this paper), there are many circumstances where it may be thought desirable to apply for Court approval. This will be so where the liquidator or the administrator is uncertain as to the course he or she should adopt in relation to a matter (e.g. Re Mento Developments (2009) 73 ACSR 622). It is particularly so where it is anticipated that a decision is likely to be controversial or where there is likely to be a complaint about a transaction which a liquidator or administrator proposes entering into, or has entered into (e.g. see Handberg (in his capacity as liquidator of S & D International Pty Ltd) (in liq) v MIG Property Services Pty Ltd (2010) 79 ACSR 373; Bufalo v Official Trustee in Bankruptcy  FCAFC 111). Section 479(4) of the Corporations Act 2001 provides that a liquidator may apply to the Court for directions regarding any matter arising in the winding up. Section 511 makes similar provision for liquidators in creditors’ voluntary windings up, including liquidations which have ensued from a voluntary administration. Whilst they are expressed in different terms, it has been held that there is no material difference between the provisions. Section 447D gives the Court power to give directions to administrators, and deed administrators, about matters arising in connection with the performance or exercise of their functions and powers. Sections 479(4), 511 and 447D have a common pedigree. The history of s 479(4) and its relationship to applications by trustees (particularly of deceased estates) for judicial advice were considered in detail by McClelland J. in GB Nathan & Co Pty Ltd (in liq) (1991) 24674 (see also Macedonian Orthodox Community Church St Petka Inc (2008) 249 ALR 250; see also Bufalo v Official Trustee in Bankruptcy  FCAFC 111 (Mansfield, Besanko and Flick JJ). The primary purpose of the court’s power to give judicial advice is the protection of those appointed by the Court to administer estates from allegations that they have acted improperly (Southern Cross Airlines Holdings Ltd (1998) 1 Qd R 84 at 93). It is also aimed at protecting the interests of trusts (Macedonian Orthodox Community Church St Petka Inc at  & ). will not adversely affect the legal rights or interests of other persons (or allow the liquidator to do so with impunity) (Southern Cross Airlines Holdings Ltd at 92). However, an application for directions may be readily converted to an adversarial proceeding where the circumstances warrant it (Re Mento Developments (2009) 73 ACSR 622). The power to give judicial advice extends to whether or not a liquidator is justified in prosecuting or defending proceedings (particularly having regard to the associated costs of doing so) (Macedonian Orthodox Community Church St Petka Inc at  & ). The court may exercise its power to give judicial advice even with respect to and the liquidator’s proposal to enter into a commercial arrangement (Re Timbercorp Securities Ltd (in liq) (2009) 74 ACSR 626). Where a liquidator seeks advice on an issue which may be contested between competing parties, the court should be alert to not going further than is necessary to give the advice sought (Re Mento Developments (2009) 73 ACSR 622 at ). It is common, for the applicant liquidator to nominate willing parties to act as contradictors in the proceeding. These are usually persons, such as creditors or classes of creditors, who have an interest in the outcome of the application. The identification of such persons is helpful because they are usually able to promote counter arguments that assist the Court in resolving the relevant issue or issues. The costs of such persons are usually agreed in advance to be met out of the assets of the liquidation. Opinions differ as to the appropriate wording of a direction. Some judges prefer to give a direction that a liquidator is “justified” in taking a particular action. Others prefer to direct that the liquidator would be acting “reasonable” were he or she to adopt a particular course. As to the equivalent law governing trustees in bankruptcy, see Bufalo v Official Trustee in Bankruptcy  FCAFC 111. As to liquidators’ powers generally, see s 477 Corporations Act 2001.
enter into an agreement on the company’s behalf (such as a lease or a charge) which may remain on foot or involve the performance of obligations beyond three months from the date of the agreement (s 477(2B)). Quaere whether settlement of a claim against a director for insolvent trading, which according to the terms of s 459M is a debt due to the company, requires Court or creditor approval. do anything necessary for the winding up of the company and distributing its property (ss 477(4) and 477(2)(m)). The exercise by a liquidator of the powers conferred by s 477 is always subject to the control of the Court. Any creditor or contributory, or ASIC, may apply to the Court with respect to any exercise, or proposed exercise, of any of those powers (s 477(6); note also the power of the Court to review the actions, decisions and omissions of liquidators under s 1321). A liquidator must have regard to any directions given by resolution of the creditors or by the committee of inspection. A direction by the former will override a direction by the latter (s 479(1)). The liquidator may convene meetings of creditors to ascertain their wishes, and is obliged to convene a meeting if required to do so by creditors having one tenth of the company’s debt (s 479(4)). may perform any function, and exercise any power, that the company or any of its officers could perform or exercise if the company were not under administration (s 437A(l)). whatever else is necessary to the purposes of part 5.3A (s 442A). the Court authorises the transfer (s 437F(1)). An administrator’s consent to a transfer of shares is subject to review by the Court (s 437F(5) and (6). The Court will only authorise the transfer under s 437F(l)(c) if it is satisfied the transfer is in the best interests of the company’s creditors as a whole. the administrator obtains the leave of the Court (s 442C). The Court will only grant leave if it is satisfied that the chargee’s or owner’s rights are adequately protected (s 442C(3». As in the case of liquidators, the actions, decisions and omissions of administrators, and deed administrators, are subjection to review by the Court (s 1321). 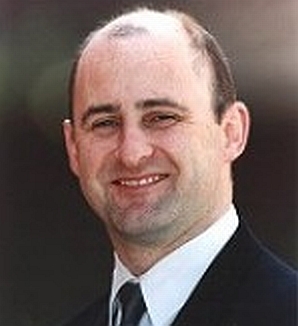 From the date of his admission in 1989 until commencing the Readers’ Course earlier in 1999, Michael worked with Gadens Lawyers, formerly J M Smith & Emmerton. He became an associate in 1991 and then a partner in 1994. He conducted an extensive insolvency practice as a solicitor for ten years advising liquidators, receivers, voluntary administrators, company directors, debtors, creditors, trustees and the Insolvency and Trustee Service Australia. He appeared in a variety of proceedings as a solicitor advocate including commercial hearings and trials in the Magistrates’, County, Supreme and Federal Courts and public examinations under the Corporations Law and Bankruptcy Act. Michael is co-author of the recently published Butterworth’s loose-leaf service “Bankruptcy Law and Practice”. Telephone: (03) 9225 8235 Secretary: (03) 9225 6059 Chambers: Lonsdale Chambers, Level 5, 530 Lonsdale Street, Melbourne Vic 3000. Clerk: Michael Green (03) 9225 7222.